Today’s entry is written by Maggie Schreiner, adjunct archivist at the Tamiment Library and Robert F. Wagner Labor Archives. The Tamiment Library recently acquired a newspaper and pamphlet collection, consisting of over 350 individual titles. 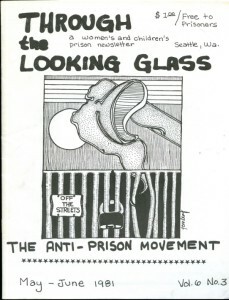 The materials were collected by the Freedom Socialist Party and Radical Women, two affiliated feminist Trotskyist organizations based in Seattle, Washington. The collection was approximately 12 linear feet at the point of accessioning, and though the materials were loosely arranged in alphabetical order by title, very few of the materials were foldered or otherwise identified by the donor. 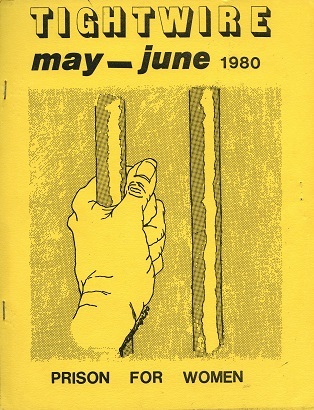 Tightwire: Prison for Women, 1980; Freedom Socialist Party and Radical Women Newspaper and Pamphlet Collection; TAM 653; box 11; folder 9; Tamiment Library/Robert F. Wagner Labor Archives, New York University. The decision was made to process the materials as an archival collection, instead of describing the materials through traditional, labor-intensive bibliographic cataloguing. In other words, the materials were described in aggregate, not on the individual level. There is description for each publication title, but not for each individual issue. The finding aid tells researchers what date range of issues we have for any given title, but has no information about individual issues (such as volume number or issue number). This approach allowed for more efficient description of the materials, which means the collection could be made available to researchers more quickly, while also keeping it out of the processing backlog. Archival management also allowed us to leverage the donor-supplied inventory, which formed the basis of description. The materials additionally benefited from collection-level description, allowing researchers to situate individual newspapers and pamphlets within the context of the collection as a whole. Finally, Tamiment has a significant backlog of serials that will be processed as an archival collection, therefore this approach will be standard for large serials collections acquired by Tamiment in the future. 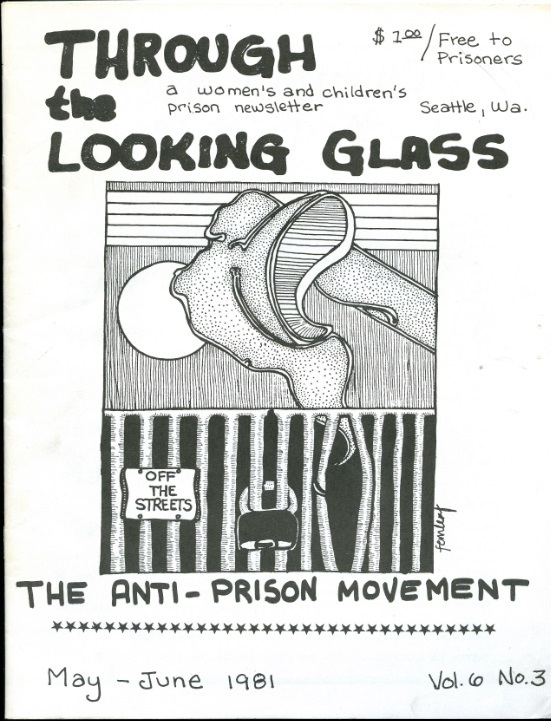 Through the Looking Glass, 1981; Freedom Socialist Party and Radical Women Newspaper and Pamphlet Collection; TAM 653; box 11; folder 8; Tamiment Library/Robert F. Wagner Labor Archives, New York University. When approaching the project, my first step was to examine other serials collections at Tamiment that were processed using an archival management approach. I decided to use the Tamiment Library Newspaper Collection (PERIODICALS 001) as a model for description. In addition to the title of the serial or pamphlet, the publisher and place of publication was also included. This allowed for more nuanced description in a collection that contains similarly-titled publications by many different Marxist organizations, as well as communicating specific location information for collection concentrated in the Pacific Northwest. For example, there are two publications in the collection titled The Militant, one the long-running publication of the U.S. Socialist Workers Party, the other a short-lived publication from Toronto, Canada. The inclusion of publisher and location information made this important distinction very clear, despite the identical titles. Finally the donor-supplied Excel inventory already included title, publication location, date range, and occasionally the publisher. Therefore the amount of additional labor-intensive description and data-entry work was kept to a minimum. The bulk of processing time was spent rehousing the collection and adding additional information to the donor-supplied inventory. There was a small amount of physical rearrangement – serials and pamphlets were placed in different series, and a small number of subject files were separated to form the final series. All materials were placed in alphabetical order by title, to reflect the perceived intention of the donors, and to make the existing inventory easier to use. The inventory, once it had been completed, was imported into Archivists’ Toolkit using Mail Merge. The result is a DACS-compliant, EAD-encoded finding aid with file level entries for each serial title and pamphlet. 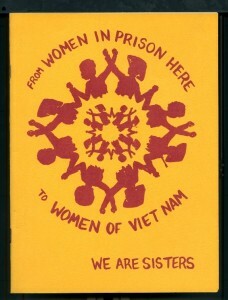 From Women in Prison Here to Women of Vietnam, 1975; Freedom Socialist Party and Radical Women Newspaper and Pamphlet Collection; TAM 653; box 12; folder 24; Tamiment Library/Robert F. Wagner Labor Archives, New York University. Lastly, archival management of the materials allowed for the newspapers and pamphlets to be represented within the broader context of the collection. 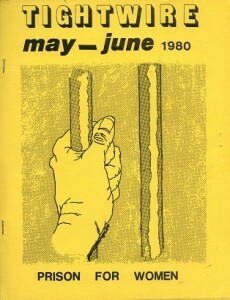 Together, the newspapers and serials present a snapshot of political concerns of the feminist-socialist Left in the 1970s and 1980s: prisoners’ rights, particularly those of women and children, gay liberation, lesbian identity, socialist and Trotskyist political theorizing, and indigenous organizing are among the most represented topics. Although these publications have not been individually catalogued, the aggregate and collection-level description allows these broader trends and concerns to become apparent. Individual newspapers and pamphlets can then be read in their broader movement context, resulting in a more nuanced understanding of each publication. The newspapers and serials also place the Freedom Socialist Part and Radical Women within their broader movement context. Researchers can determine the organizations’ interest in Trotskyism from the many publications from Trotskyist presses. 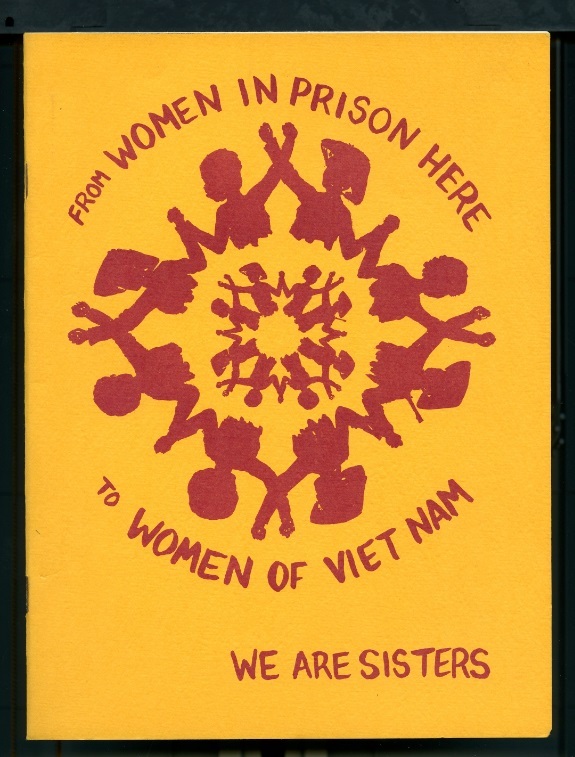 A nuanced understanding of women’s liberation can be taken from the different representations of women’s issues: prisoner rights, lesbian identity, indigenous struggles. This is a much more complicated and intersectional picture than traditional depictions of Second Wave feminism might lead us to assume. Finally, the inclusion newspapers and serials addressing Angola, Ireland and South Africa situate the political work of the Freedom Socialist Party and Radical Women within an international context of worldwide struggle for liberation and self-determination. The Freedom Socialist Party and Radical Women Newspaper and Pamphlet Collection (TAM 653) is open and available for research at the Tamiment Library. Please see the collection’s finding aid for more information about individual titles.